The go-to all-mountain helmet, Bell Stoker, is there when you're ready to step up your trail game. Bell got so stoked on this helmet that they decided to fill it with all their very best features. Channel cool air into the Stoker through the Overbrow Ventilation and the warm air will flush out through the 13 ports. Playing in your favorite patch of dirt can sometimes be hard work. Good thing you have Coolmax Padding Â® when the sweat starts to bead. Perspiration will be pulled away from the skin and quickly evaporate, creating a cooling effect and adding additional comfort. 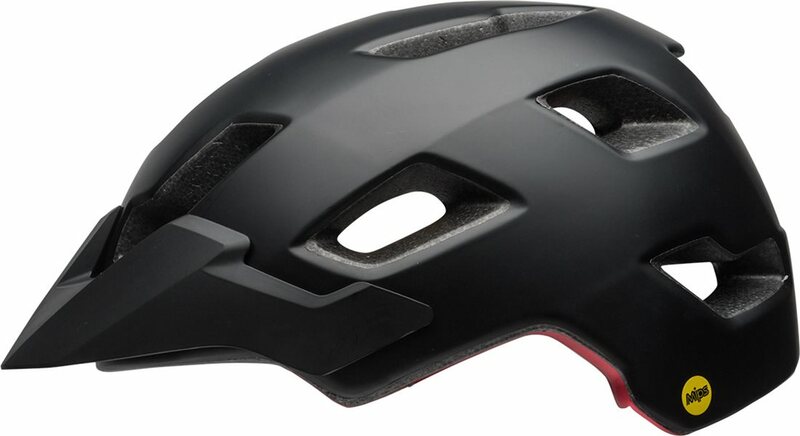 The Stoker MIPS helmet is equipped with the patented MIPS system to reduce the rotational forces to the brain in the case of an oblique impact. Where most helmets are tested for vertical impacts, studies have shown that the human brain is more sensitive to oblique impacts. MIPS technology mimics nature's own method of reducing forces transferred to the brain in the event of a crash. When subjected to an oblique impact, a membrane between the brain the skull allows the brain to slide along the inner surface of the skull, which ultimately reduces the forces transferred to the brain. MIPS helmets use a low friction layer between the shell and liner to mimic this process, which significantly reducing the forces transferred to the brain. I had a Mips-less stroker before this, and it was great. Fit perfect, looked great, and was super comfy. But I feel the Mips helmet is a downgrade. It sits notably higher on the head, and feels and looks like it covers less of the skull. It also floats around on your head, so if you want to mount a camera, it probably won't be the best platform. On top of all that, the color of my older helmet was way better. It was a bright, deep red. This new helmet seems chalky. Still a great helmet, but I don't think I will buy Mips again. The Bell Stoker helmet is comfortable, breaths fairly well, and is fairly light. The vizor is marginal, as it doesn't have that much sun protection and can sometimes rattle a little on the trails, but it doesn't interfere with my riding. Overall great buy. This helmet fits great and looks sleek. It is lightweight and the visor can be moved up and down. Definitely worth the price! This is a great helmet for the price. I have a big head (I usually wear XL or XXL on other brands) and size large fits very well with a lot of room for adjustments. I picked up this helmet because it was MIPS and was on sale for $50. It looks good and fits great. Coverage is very good and feel well protected. And the price can't be beat. This is my preferred trail helmet over my old Bell Super 2R. It fits my somewhat larger rounder head very well, the foam shape being just right that I can downsize to a M from a L Super2R. The helmet does sit a little higher than the Super, but that means it interferes with glasses a bit less. The visor is pretty useless, but MIPS is a great addition. Fit is correct, looks good, feels good. The helmet fits as expected and looks really good. No mushroom top head like my older helmet. Visor is easy to adjust while riding and the venting works well. Straps are adjustable around the ears which is great for my head. Back adjustment wheel is easier to adjust when not wearing the helmet, but I was able to get a good fit regardless. Not as easy if wearing gloves. This is my first MIPS helmet, and the rotation is kinda strange feeling if you move it around with your hand, but it doesn't move at all while riding. The price was fantastic compared to other MIPS helmets. nice helmet. MIPS always sits a bit higher on the head, so will feel a bit different. The Bell Stoker helmet is a really good helmet, very confortable. I got this helmet to replace a stoker from 2015 which broke in a crash. The 2015 model did not have MIPS. I like the added security that MIPS is supposed to allow, but the fit feels different between the two helmets. The wrap of the retention strap does not feel as low on the MIPS helmet (both are adjustable). That said-- great helmet, very versatile, excellent price, works well with a L&M vis-360 light for nightriding and commuting. It also feels very safe, which inspires confidence on the trail. Bought this helmet as my first MIPS bucket. As someone with previous concussion issues, I was excited to find this version at a reasonable price. 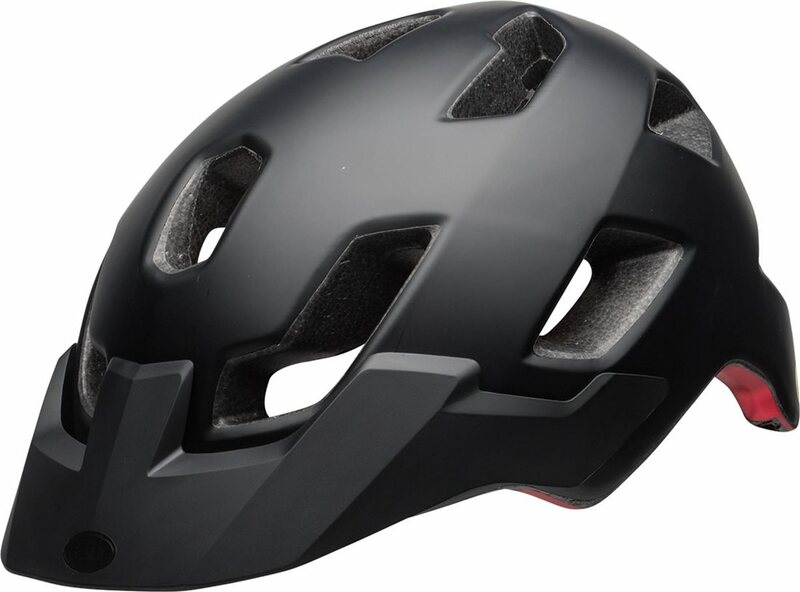 PROS: This helmet is stylish, fits well (true to size), and runs pretty cool/lightweight. I also think it is a relatively good value for the cost. CONS: The plastic shell is prone to scratching/scuffing and the visor attachments seem to be a weak spot. Adjusting the visor also seems to scuff up the shell. Have a Stoker that I've grabbed before, that I liked, saw this one with MIPS in Black at a fair price so I grabbed it.